All the flooding in Australia, Brazil and elsewhere has set me to pondering. We humans are an odd lot. Even though we know better, we build our houses and cities on the slopes of volcanoes, in floodplains, below sea level, on top of fault lines and in the paths of bushfires, tornadoes and hurricanes. Every year tragedy strikes. Volcanoes erupt, rivers flood, fault lines shift, bushfires, forest fires, tornadoes and hurricanes leave a path of destruction. When it is over, we rebuild in the same dangerous places. We usually do this out of necessity…most of us can’t afford to live where we choose. We are fly-trapped by sticky financial necessity. For example, If your job requires you to live in Los Angeles, San Francisco or some other shaky place, do you abandon your livelihood to seek terra more firma? If the only place to grow your crops is on the slopes or in the vulnerable vicinity of Mt. Blowapart, do you give up farming to starve on safer ground? If the only place to build a shelter is to squat on a dangerous piece of ground or be homeless, what would you do? On the one hand, I feel little pity for the folks with funds to live where they want but build holiday homes on the beach and then get upset because a storm spoils their fun. And then they have the cheek to expect us to help them rebuild. I question the sanity of those who have the resources to reside above sea-level but choose to live below it. Those who carelessly and perilously build in the forest because they love trees must understand that they have surrounded themselves with flammable materials. 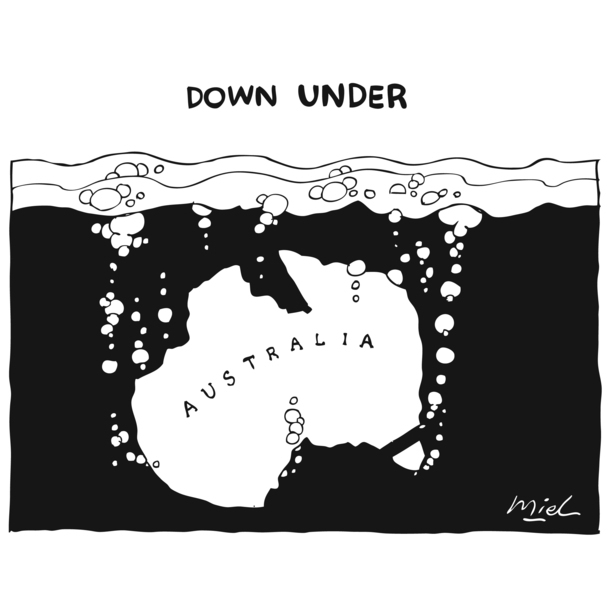 On the other hand, there are the disastrous floods in the states of Queensland and Victoria in Australia. I have been in some of these stricken areas in the last year. No one could have foreseen the unceasing deluge that has killed, destroyed and changed lives forever. The sheer size of the flooded areas boggles the mind. But I know something of the Australian psyche. They may have to live in the same place but Australians are tough folks. They will mourn their dead and then get to work. After reminding each other, “She’ll be right, mate!” they will sluice out the mud, rebuild and reclaim what they can. God bless them every one!